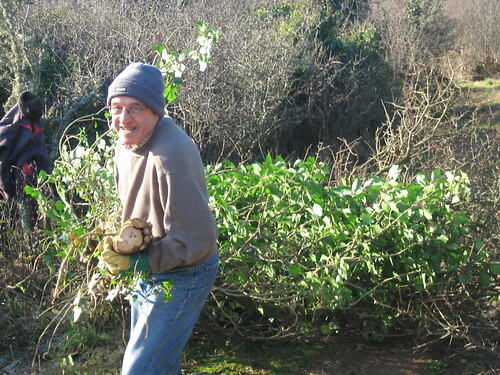 Last weekend, on Saturday 22nd January 2011, we asked for some volunteers to help us with some scrub bashing. 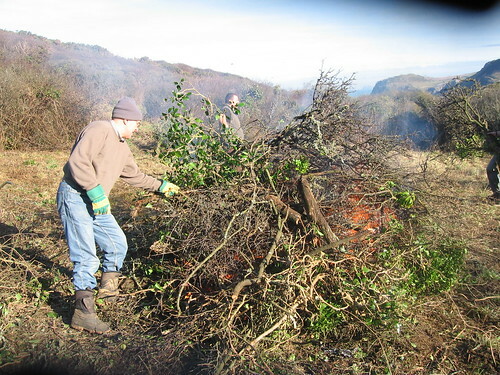 On the day, after a quick introduction and walk to the site, a brand new team of volunteers were chomping at the bit to create a butterfly glade in the scrub at Lundy Bay. lundy1, originally uploaded by northcornwallnt. 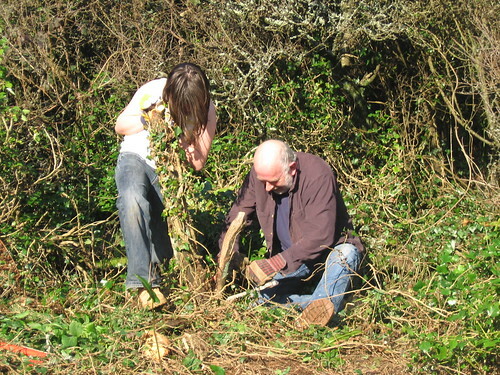 The area is looked after by the ranger team to encourage wildlife in the area. lundy2, originally uploaded by northcornwallnt. 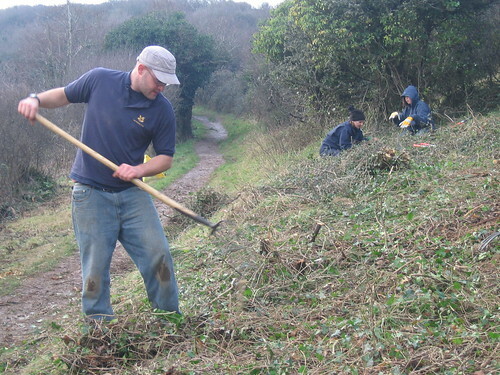 We cleared an area which was predominantly blackthorn scrub, to make way for wildflowers, which in turn attract butterflies and other insects. These make a good meal for songbirds in the area, some of which are then enjoyed by passing birds of prey! lundy3, originally uploaded by northcornwallnt. It was a great day for a bonfire; clear blue skies, and almost perfectly cooked potatoes. The group consisted of all ages from grandfathers to grandchildren all of whom worked really hard to get everything done and dusted by the end of the day, so here’s a big THANK-YOU to everyone who came along, we hope to see you soon. lundy4, originally uploaded by northcornwallnt. Watch this space for more events like this! !